These two beautiful ladies have been such a blessing in my life. I admire so much the way they show kindness and love towards everyone around them. As hectic as wedding days can often be, these two found the time to make profound commitments to one another as well as show their love for all their guests. 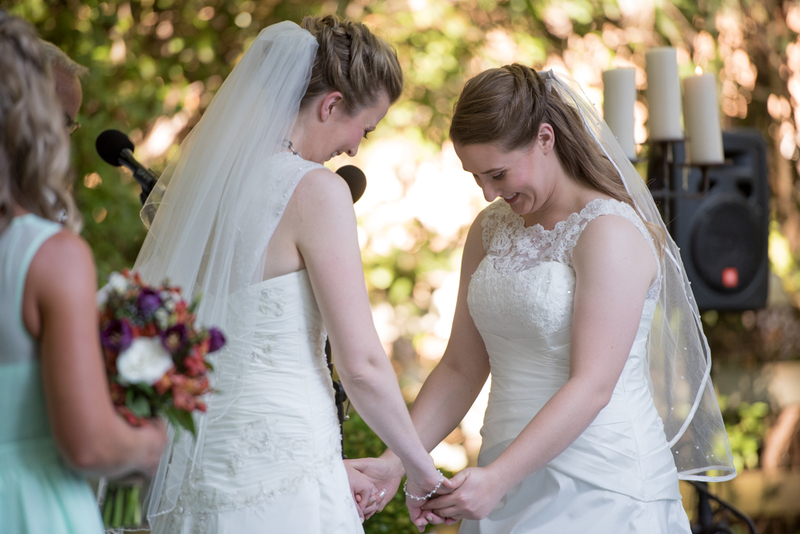 The intense sacramento heat could not dampen the happiness that surrounded Cassie and Jill on this momentous day in their lives. Cassie and Jill have been good friends for a long time now and I am overwhelmed by the love and support they have always showed to me and my work. They came to my BFA show when many of my friends and family couldn't make it. (I will never forget that! I love you guys!!!!) I was honored to be there to support them on their special day.